Karla Helke serves as the VP of Finance and Controller for LHI. In her role, Helke is responsible for all aspects of accounting and finance, and advising the business to achieve strategic, financial and operational objectives. An employee of LHI since 2004, Helke has supported the organization through a number of roles including Senior Staff Accountant, Senior Financial Analyst, Assistant Controller and Director of Finance & Controller. She has a wealth of experience in government contracting, financial planning, analysis and reporting. Prior to joining LHI, Helke held a number of accounting-related roles in the La Crosse area, including Accountant Analyst at Trane Company, and at Isola Laminate Systems Corp, Accountant and Sales and Marketing Data Analyst. 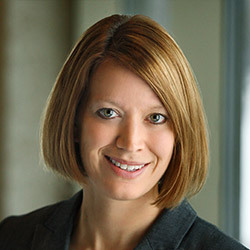 Helke holds a Bachelor of Science degree in Accounting from the University of Wisconsin-La Crosse.